This Light Award is sponsored by Free Gratitude Meditation, and processed through Kiva.org. 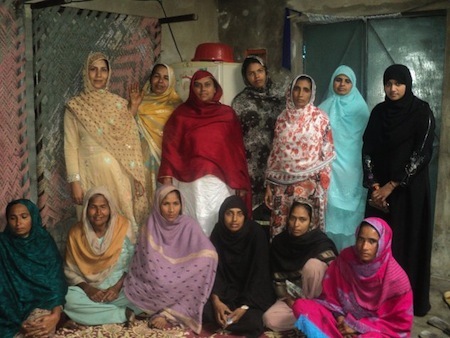 Naziran has applied for a loan from KIVA partner Asasah for her rice-selling business. With the loan proceeds, she will buy rice in larger quantities, and of better quality, which will allow her to increase her sales and profits. She is a very supportive person who started her business a few years ago to share the financial burdens with her husband, who is a factory worker. Her family very much appreciates her efforts to make their life easier. She is also a great housewife who takes care of her family very well. Both her sons also work, while her daughter is studying in the 6th grade. She is confident that the KIVA loan will be a productive one for her business. For more information about other light workers, light resources, and light tools, see the navigation over to your left. Or learn more about the Perpetual Light Fund. Get your Free Gratitude Meditation and keep the energy flowing.